Inspired by old school Scandinavian blades, the Horse Carbon Steel Knife is incredibly durable and impact resistant. 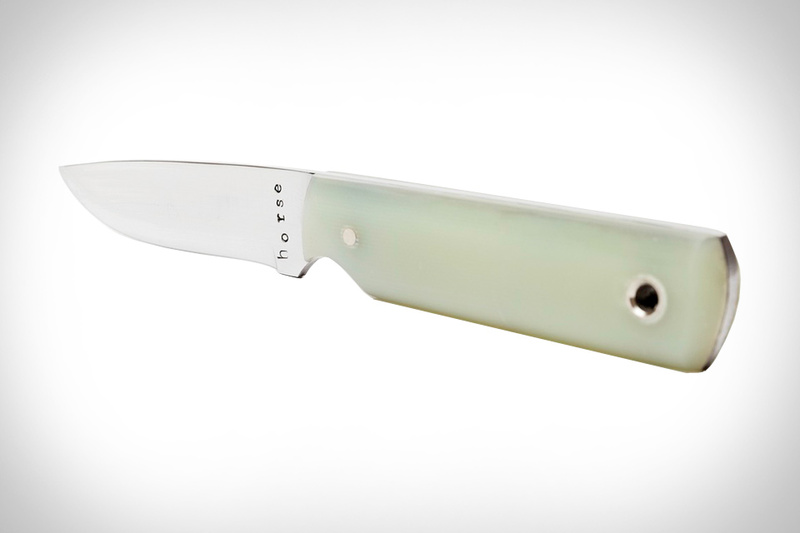 The blade is 3/32 thick with a Scandinavian grind for tough chopping or hacking. Hand stamped with the Horse logo, each blade is precisely honed to ensure its sharpness. An incredible ally for camping or the kitchen that's made by hand in Brooklyn, NY, one at a time.